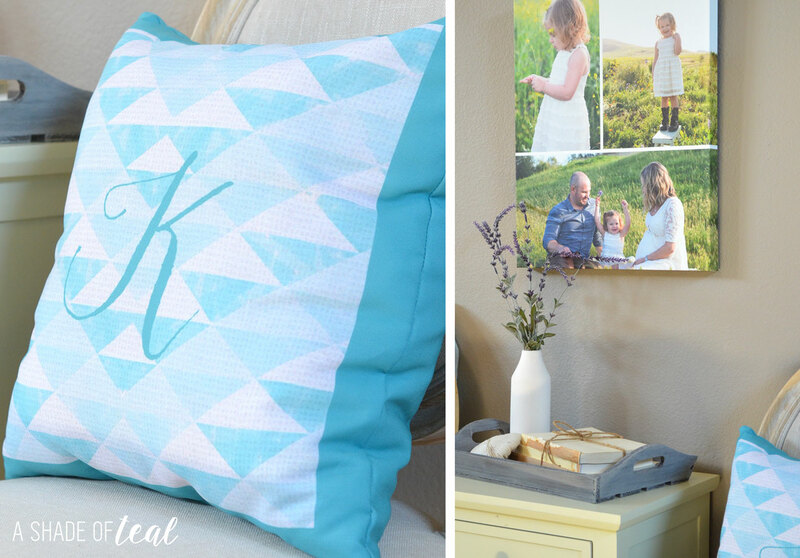 If your like me then you love customizing your home decor. Whether it’s throw pillow’s or wall art, making sure they fit my style is everything. I recently teamed up with Create Art and Gifts to create some custom pieces. I ordered a throw pillow, a throw blanket, and a canvas wall art from their website. All were quick and easy to order. 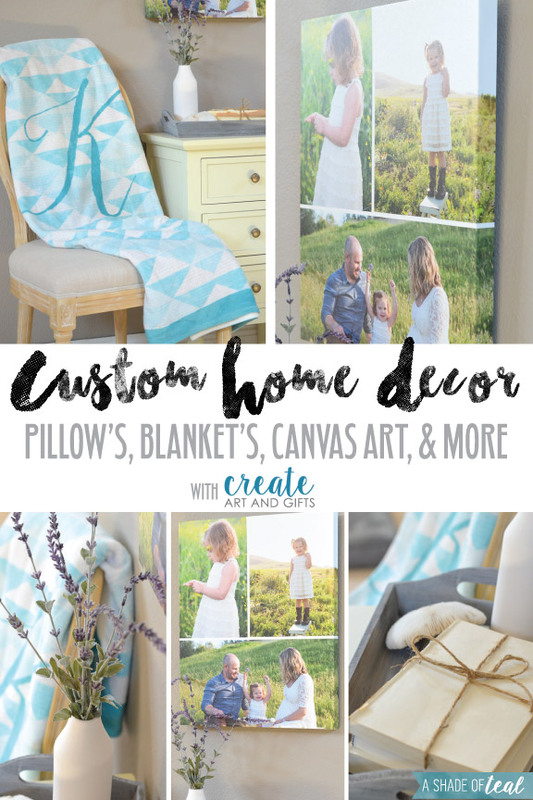 They have several throw pillows and blankets that are ready to go and all you have to do is customize it. Or if you want to completely upload a design you can. 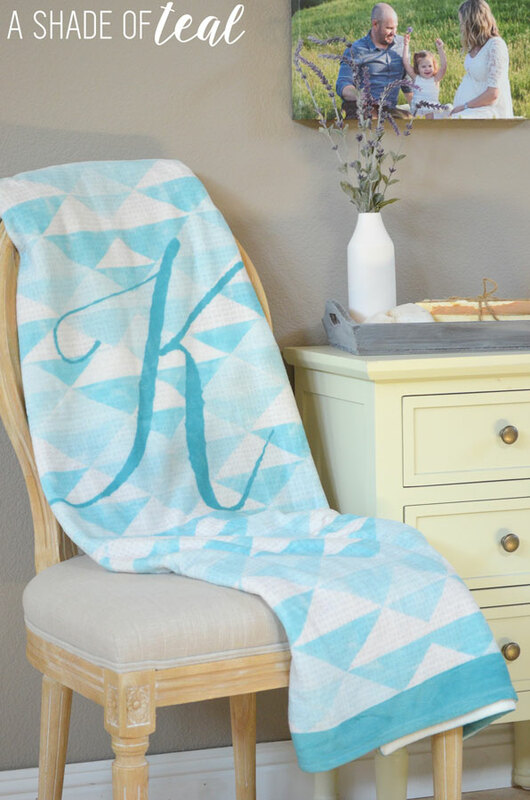 I chose their “Teal Geometric Personalized Monogram Coral Fleece Blanket” and customized it with a “K” for my daughters. Their throw blankets are super soft, made from 100% Polyester. I also ordered a matching pillow, but again you can customize how ever you like. My favorite piece is this custom canvas wall art. 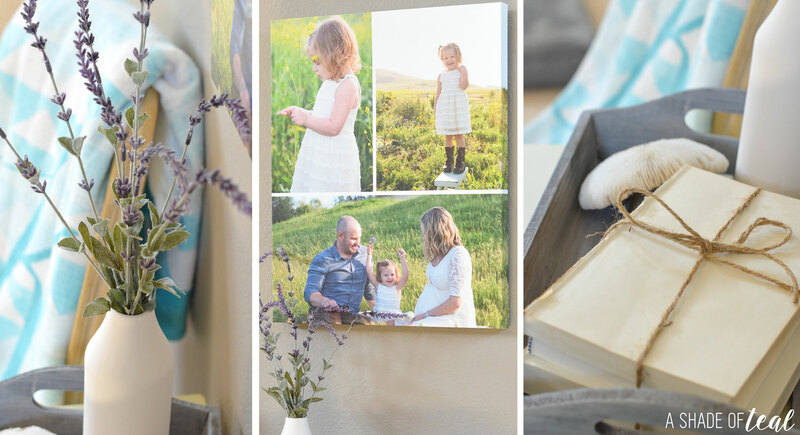 Its their 16×20 Personalized Canvas Wall Art where I uploaded the photo. It’s made with a premium gallery wrapped canvas and has a finished backing ready to hang. I love how all the items I ordered turned out. Plus their quality is great. So if your looking for customized home decor items then you need to check out Create Art and Gifts. You won’t be disappointed with their selection and quality. Plus, their offering a 30% discount off your entire purchase for any of their products. The discount code ends on 6/10 so hurry and start shopping! To see more from Create Art and Gifts check out their website. That pillow and blanket is so cute! I’ve been looking for personalized decor lately. They would make excellent gifts for newlyweds! These are so pretty! I love the geometric design. Thanks for the discount code because I am loving the Teal With It collection. These would make fabulous gifts! So cute! These are so cute! I really love the canvas wall art! Thanks Katy for writing such a good Article on home decoration and interior decorators. Really impressed with your ways of article writing with this depth. These Home Furniture specially carved wooden furniture for bedroom, dining room, kitchen, leaving room and first need for an interior decoration and home decoration. For home decoration it is always in demand and people enjoy the items with style.